Beijing, April 17: China on Wednesday said the issue of blacklisting Pakistan-based terrorist Masood Azhar at the UN panel was heading towards a settlement and asked the US not to force through its own resolution on the matter. Beijing also rejected the report that the US, the UK and France asked China to lift the technical hold on Azhar by April 23, failing which they will move a formal resolution for discussion, vote and passage at the UN Security Council (UNSC). 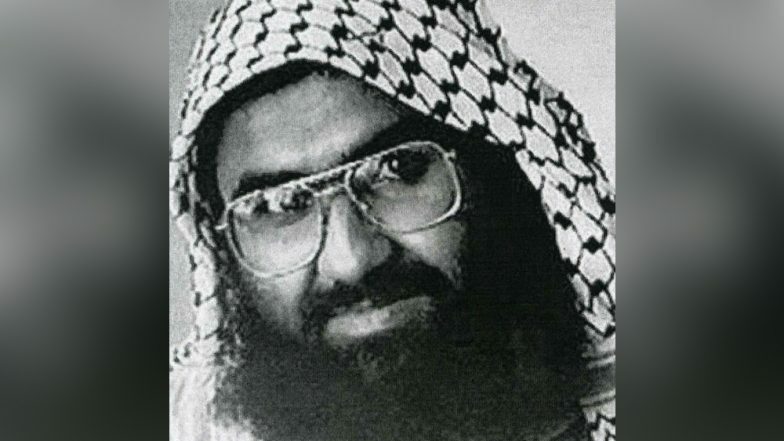 Masood Azhar to be Blacklisted? Pakistan Asks China to Let UN Ban JeM Chief, But Sets Preconditions For India. "On the issue of the listing of Masood Azhar, China's position remains unchanged. We are also having communication with relevant parties and the matter is moving towards the direction of settlement," Chinese Foreign Ministry spokesperson Lu Kang said here. Asked to elaborate further, Lu did not answer clearly. He was responding to a question whether anything was achieved after China claimed "positive progress" on the issue of declaring Azhar a terrorist. China in the past has put four technical holds on the resolutions by India, the US, the UK and France to ban Azhar at the UN 1267 sanctions committee. Beijing's latest technical hold came last month after Azhar's outfit claimed responsibility for the deadly attack in Jammu and Kashmir that killed 40 Indian military personnel in February. This prompted the US to draft a new resolution and take it directly to the Security Council for an informal discussion. Beijing slammed the move, saying this will complicate matters when some progress has already been achieved. Lu again reiterated it when asked if China will support such a resolution in the Security Council. Here’s How China Blocked the Listing of Masood Azhar at the UNSC. Asked if Beijing has been set a deadline of April 23 to lift the technical hold on resolution banning Azhar at the 1267 committee, Lu said: "I don't know from where you get such information, but the Security Council and it's subsidiary bodies like the 1267 committee, they have clear rules of procedures and you have to seek clarification from those sources." China Accuses US of Undermining UN Anti-Terror Body by Forcefully Moving Resolution on Masood Azhar in UNSC.